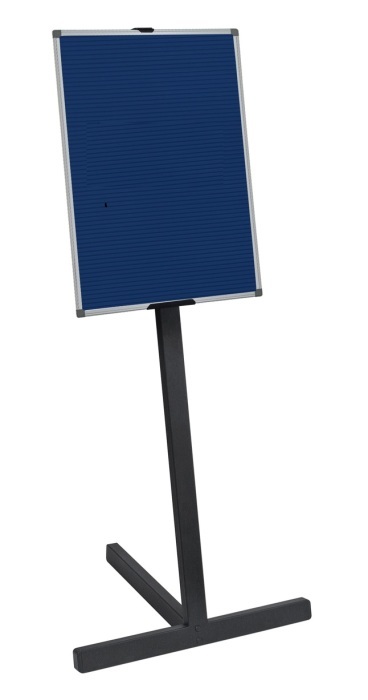 Ultra free-standing Letterboards are available in 2 size options and the surface is available in either Black or Blue. The board sits in an Aluminium frame on top of a Black free-standing Steel stand. Free UK mainland delivery on a lead time of 7 - 10 working days.